Do you live in one of the rural areas of Oklahoma such as Tuttle, or Minco, which has been dubbed the Best Little US Town both sides of the Mississippi, Dibble, Newcastle, Union City, Calumet, Kingfisher, Cashion, Crescent, or outside the Stillwater area or maybe not even in a city at all? Then a USDA Rural Development home loan may be the answer for you! These are a great zero-down loan opportunity that is available to the general public. Not Just About Farm Loans Anymore! When most people hear of USDA they think about farms and food inspections. 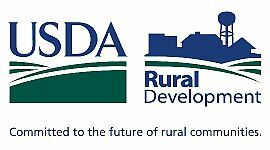 However, the USDA wants people to invest in rural communities and they urge homeownership in those areas. Therefore they make it easy for you to purchase the home of your dreams in the area of your dreams. They won’t typically let you finance a operating farm with your home purchase, but they will let you finance up to 5 acres with your home purchase. These loans are available all over the United States in designated rural areas. There are income limits to this program so contact me to find out the details. 100% Financing based upon appraised value – not the purchase price! Contact me today to start your approval process for a USDA home loan!